In 2008, our organization established Craiger’s List . Craiger’s List is named in honor of a very special greyhound that graced our lives for a wonderful, but all-to-brief, period of time. Craiger died of lymphoma shortly after his third birthday. He touched us deeply and permanently. We wanted others to know how giving a special dog a home can be so rewarding. Craiger will always be in our hearts and we hoped that by giving other special needs and/or overlooked dogs a chance for a loving home, that we would honor Craiger’s life. We work with other groups, adoption kennels, racing kennels, farms and even people who cannot keep their special needs hounds. These dogs are placed on Craiger’s List and we look for forever homes for them. 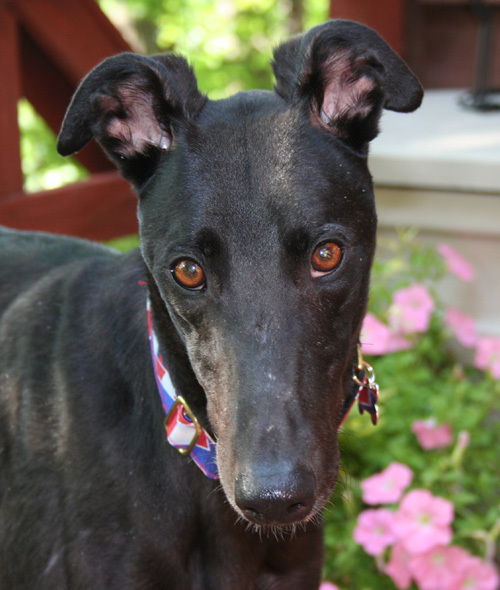 All people adopting a greyhound from Craiger’s List are experienced greyhound adopters and make a lifelong commitment to the hound they adopt. Although we have worked hard and have found homes for hundreds of greyhounds since our group was established, we have had our most satifisying experience finding homes for the hounds we placed on Craiger’s List. We have always felt that the “overlooked” dogs also deserved a chance. Therefore, in 2009, we enhanced our mission to work hard on behalf of these deserving animals and concentrated more on finding homes for those left behind. There are many people who can talk about how fulfilling their adoption of special needs hounds has been and we have met many wonderful people in the process who understand that the best dogs are sometimes the ones that get overlooked. When Craiger’s List dogs are placed, the ENTIRE adoption fee is sent as a donation directly to the Morris Animal Foundation, Greyhound Project, which researches cancer. To date our group has found homes for 55 greyhounds from the list and donated $9,525 to the Morris Animal Foundation on behalf of cancer research!!!!! You can click on the title of this post if you want to see the greyhounds that we currently have available for adoption. If you are interested in any of these special hounds, please fill out our adoption application and note the name of the dog that you would like to adopt. We will contact you to discuss your application. These are all wonderful dogs and they deserve special homes. We require that all potential adopters be knowledgeable about dogs in general and greyhounds specifically. In some cases, we will provide additional incentives for adoption, but that will be disclosed at the time the adoption is approved. Please give one of these special hounds a chance. We guarantee that you will be rewarded beyond your greatest expectations!! Please note: ALL Craiger’s List dogs are fostered before being placed.